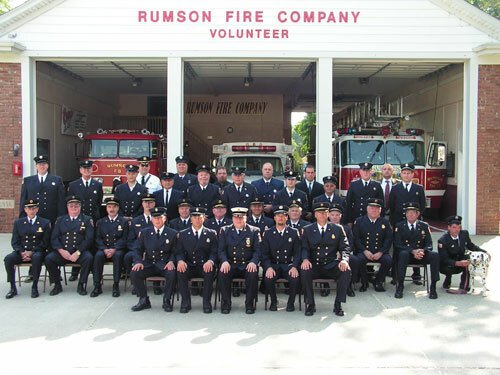 The Rumson Fire Company was started in September of 1905 when a small group of men met in the old school house that was located at approximatley the same place as the current firehouse on East River Road. Their charter was received on January 18, 1906. The first firehouse was built on Center Street by William Pearsall. 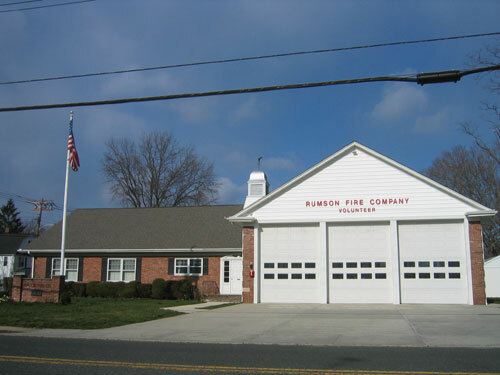 This building still exists today as the Rumson Women’s Club. 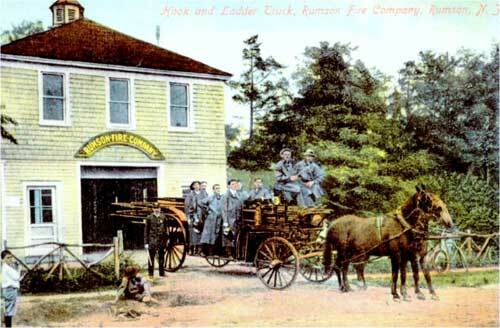 The first hose wagon was built in Sea Bright by John Eyles and delivered in July of 1906. The borough of Shrewsbury donated the hose for this wagon. By the end of 1908 the company had grown to 67 active members. In August of 1911 the company not only won the State championship for horse drawn apparatus but also broke the world record in doing so. In 1955 the company acquired the old school property from the borough and after much time and planning built the building we now use. After construction was complete the members themselves took on the task of making the firehouse the beautiful building it is today. These men volunteered their time and skills to not only protect the citizens of the borough but to give the members of today a great and functional building. The company has grown in membership over the years to a size where a quota system, which was already established by the state association, was used to control the size of the company. This system is still in place today but through the fact that the younger members of the community cannot afford to remain in the town and deaths; the numbers of volunteers have dwindled somewhat. 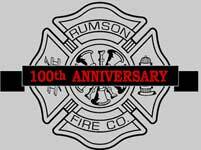 Today Rumson Fire Company has 5 Active members, 36 Exempt members, 5 Associate members, 10 Social members and 2 Honorary members.